Though there are millions of children who need a new home, the adoption process is often long and complicated. If you’re thinking of adopting a child, you should be prepared to spend a lot of time interviewing, filling out paperwork, and jumping through other hoops. For help speeding up the process as much as possible, consider hiring a La Plata family law attorney. Once you decide to adopt, you may be overwhelmed by the sheer number of options. An experienced attorney can help you select one or two adoption agencies that will work best for you. After you choose a reputable adoption agency, your lawyer can help you understand the various laws surrounding adoption and fill out the necessary paperwork. A family law attorney can also prevent delays by identifying and correcting paperwork errors. If you encounter any complications during the adoption process, your lawyer can represent your interests in court. 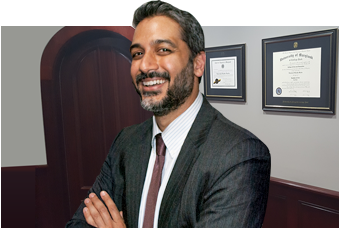 Though it’s possible to adopt without hiring a lawyer, the process can be much easier with an experienced advocate at your side.